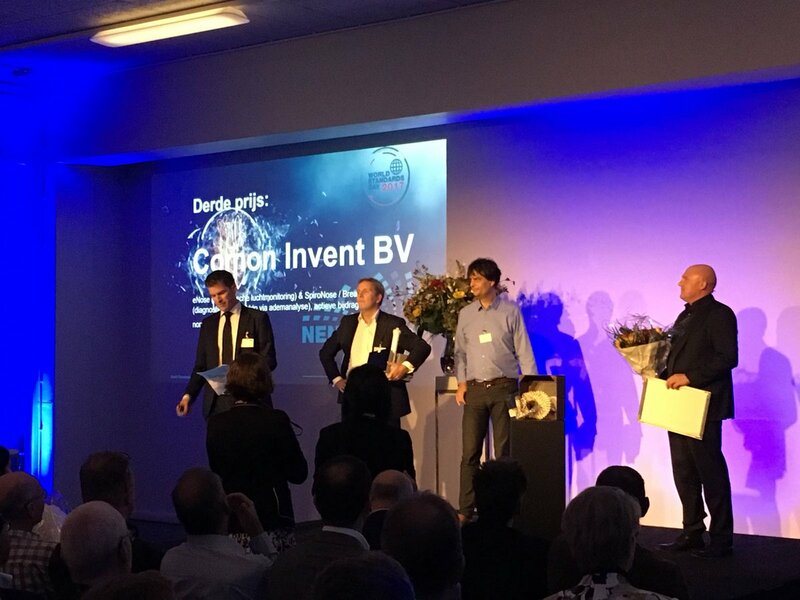 During the run-up event to the World Standards Day, Comon Invent won the 3rd prize of the NENnovation Awards 2017. With the application of the eNose technology in the environmental and exploration in the medical domain, the jury praised Comon Invent with for its innovative enhancements in the field of air monitoring. The prize was awarded by Dutch astronaut André Kuipers. This year, the NENnovation Award was awarded for the first time. The NEN established the award because standardization and innovation are closely linked. Successful innovation calls for attention of technological, economic, social and sustainable aspects and thus the involvement of several stakeholders. Opportunities for innovative concepts are increased by standardization and market acceptance gets a boost.